After a rather awkward goodbye process in which I saw everyone another three times after the original goodbye, I set off for Termas del Dayman, a few miles outside of Salto. It’s the site of some hot springs, and it was now that possibly the most sensible question ever was put to me. The meat of it being – What the **** was I doing going to a hot spring when the temperature outside was searing in the mid thirties? I couldn’t really say, only that I wanted to see what it was like. I also hadn’t wanted to backtrack along the same Tacuarembo/Montevideo road that I’d been down twice now. Not the most compelling argument, I know. Well, I can’t take the camera inside, can I? 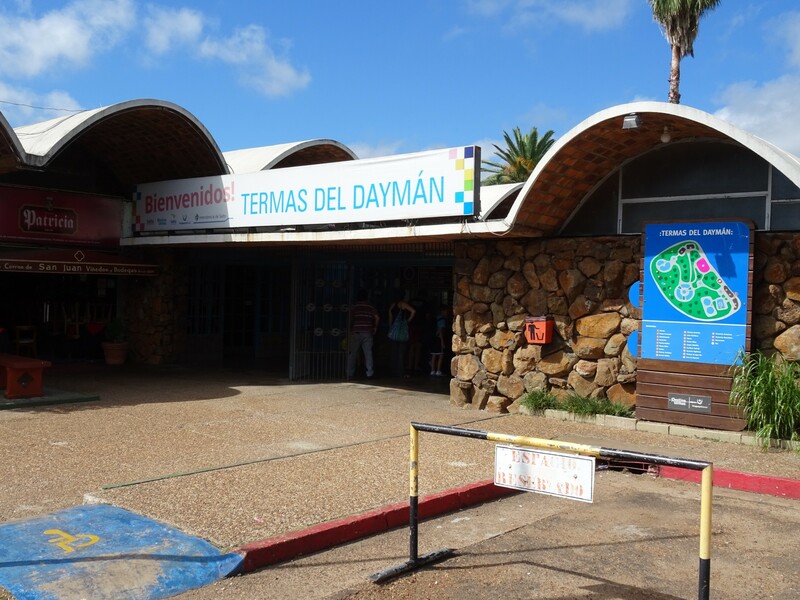 I arrived at Termas del Dayman late in the afternoon, though not as late as I’d thought – my phoneless time at Panagea had resulted in my forgetting that it was an hour off the real time in Uruguay. After finding myself a dodgy looking motel to spend the night, I promptly dumped all my junk and proceeded to the springs. 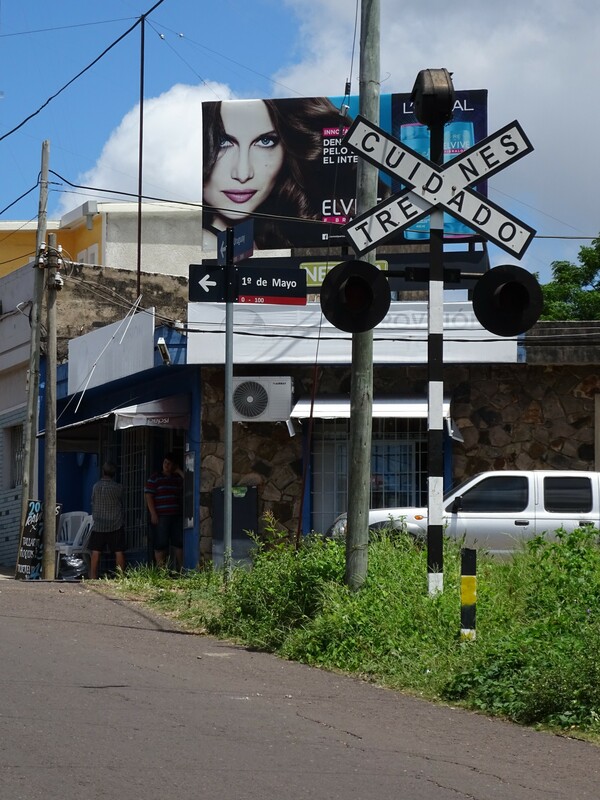 There used to be a railway in Salto. I don’t think it works anymore. This was an odd experience, to say the least. Not so much the hot springs, though that did seem a peculiar pastime for a country bathed in such sunshine and heat, but the general action of going to said springs by myself. Everyone was there, messing around in their groups as you generally do when going to the pool, and thoroughly enjoying the excessive heat. It just felt a little, yes, odd being there on my own. Perfectly nice looking streets in Salto. Now, I’ve been known to eat by my lonesome every once in a while at restaurants in South America (ok, most of the time), but when you’re at the pool there’s really nothing to do! You can’t pretend you’re busy eating, or thoroughly engrossed in that one article you loaded on BBC News before you left the hostel because you can’t take anything in with you. You have to play it cool, act like you’re not some wierdo who attends public baths on their own to stare at people, and yet still manage to get in some good people watching. Which is exactly the right (see:only) thing to do at the pool by one’s self. 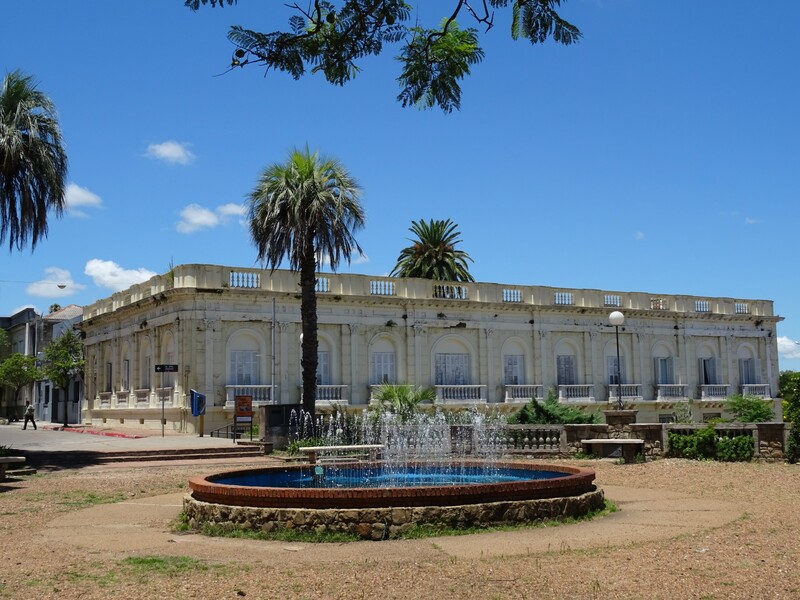 Nice building and fountain by the river in Salto. My skin started to shrivel after some time, and once I had tested all the different temperature pools (one was 47 degrees!) I made my way back. It was past ten, my body was tired from horsey adventures and my first private room since early October beckoned. You can’t help but get excited about that kind of thing. It’s the river. I can see Argentina! As the next morning arrived I woke early to explore the town. At least, I attempted to anyway. Disappointingly, there is literally (and by literally I mean figuratively) nothing to see aside from the hot springs. A couple of streets with more classy motels, the poorest attempt at a town square I’ve seen in South America and a bus stop. The latter at least served my reintroduction to Salto. See what I mean? This isn’t a real town square. 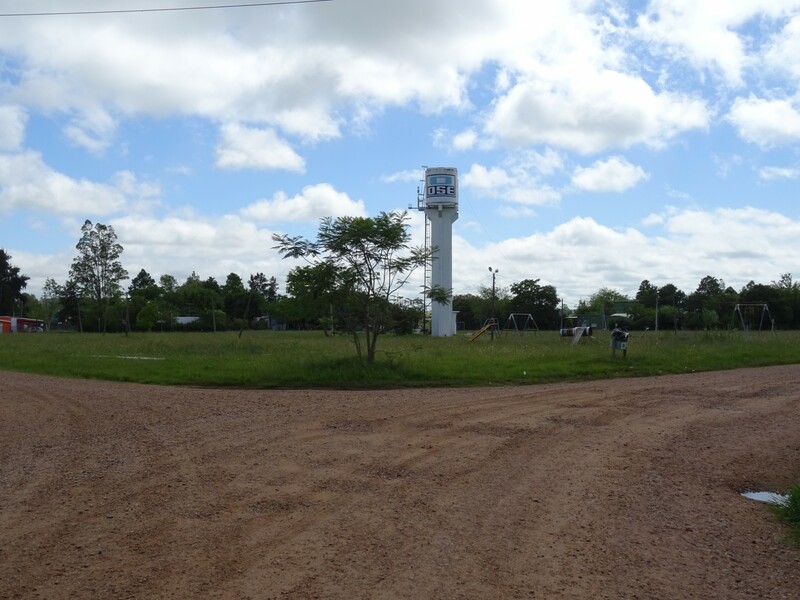 Salto itself is a perfectly pleasant little town on the Uruguayan border, if a rather mundane one. 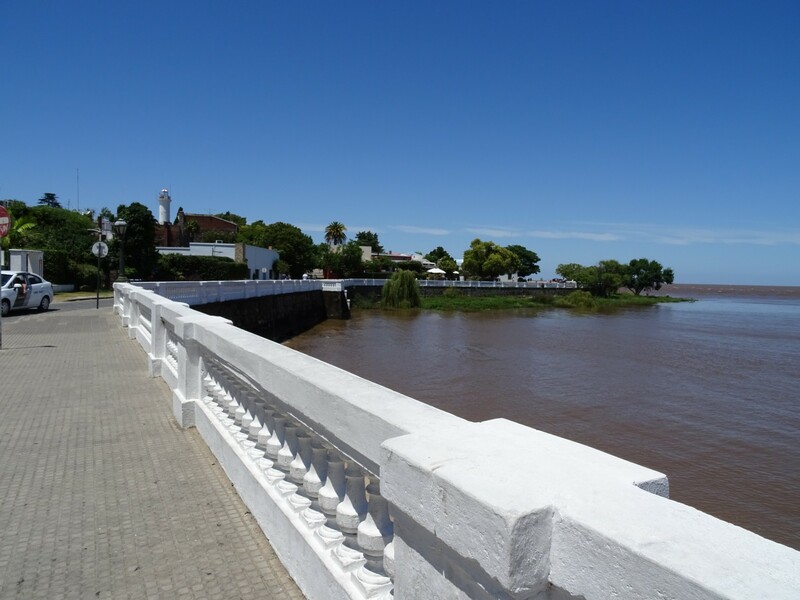 The tourist map I’d picked up at the bus station suggested most of the interesting things to see were along two roads, so I spent my time here sauntering (at a particularly leisurely pace) down here, all the way to the river which provides the border to Argentina’s Entre Rios region. Two plazas, a couple of cathedrals and an Ice Cream later, and it appeared I had seen all there was to see. No, wait. There was a quaint garden by the riverside, too. I ate a healthy chivito for lunch before I ventured back to the bus station, and hopped onto the evening bus to Colonia. 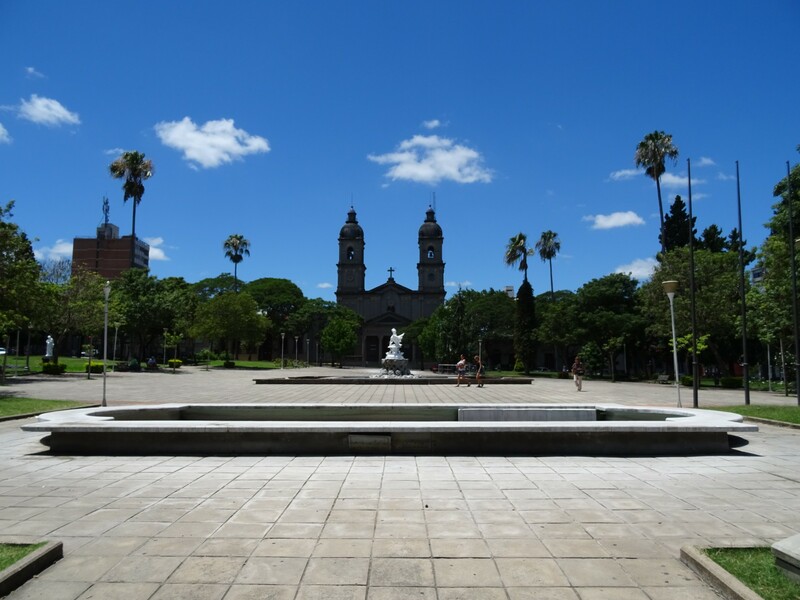 One of the squares in Salto. It’s missing a bit of greenery but it counts. I hadn’t realised it would take so long to get to Colonia from Salto. 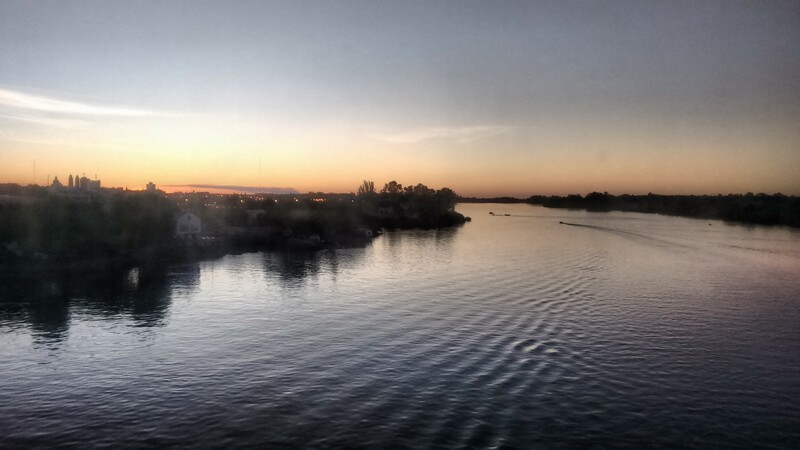 It was only five hours to Tacuarembo from Montevideo and I expected about the same for this journey. It wasn’t though, it was eight hours, and my four o’clock departure meant I would arrive after midnight. Hardly a long journey by South American standards, but not the ideal time to arrive somewhere. It turned out the extra time was due to us stopping pretty much everywhere along the border. 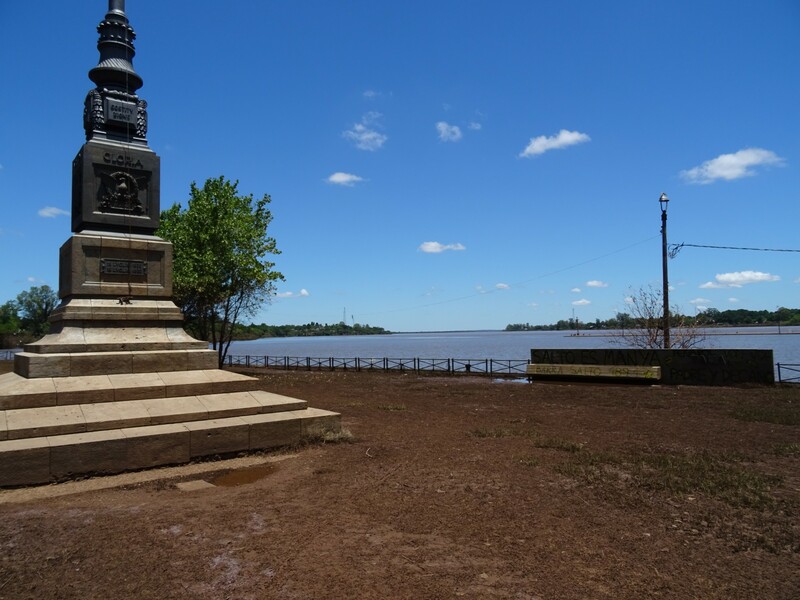 Paysandu, Fray Bentos, Mercedes, Dolores, Carmelo and just about anywhere there was someone in the road – it was like Bolivia again. This did have one advantage though – I burned through pretty much the whole of Around the World in 80 Days on the journey, a stark contrast to the month or more it took me to read my last book. I don’t want to hear any mention that it’s a really short book – that’s still amazing for me. Entering Mercedes. The river is the highlight. When people say you can see a place in a couple of hours, I don’t usually believe them. I tend to find that places warrant a deeper look, and I like spending a bit of time in a place, getting to know it. 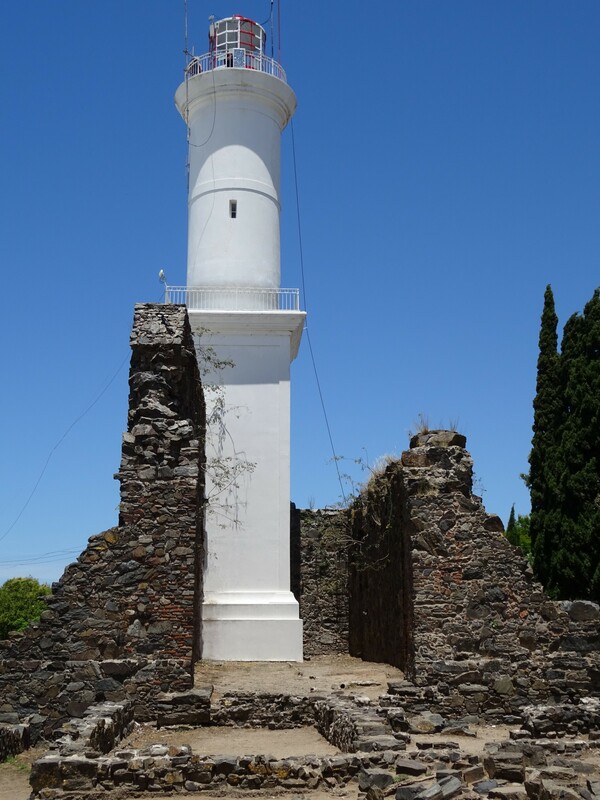 I said this before I arrived in Colonia, too – the many reports that you could whizz through in a couple of hours rejected – only to find that, actually, you can see the whole place in a couple of hours. Without rushing either! The old town, at least, anyway. It’s really small, and only a few minutes walk from one end to the other, or from side to the other. Despite this, I spent a few days here, mainly after realising it would be cheaper to book a boat on a later date. 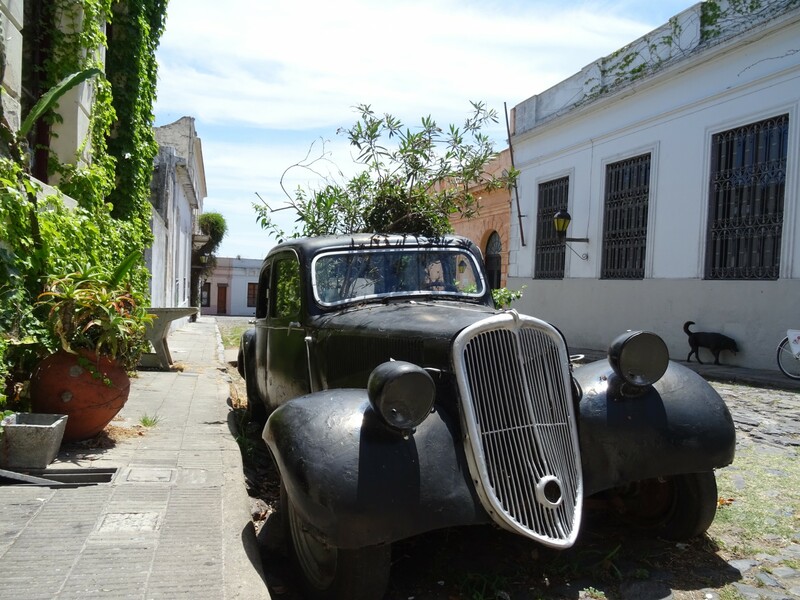 The quaint feel and surprising untouristy vibe (I expect everyone’s still in Punta del Este) made for a relaxing time, and while the town isn’t the “world’s best colonial town ever” it seems to be made out to be in the guidebooks, it isn’t ugly by any stretch of the imagination. The streets are all cobbled, the tiny coastal beaches are lovely and who doesn’t like a lighthouse? You can even see Buenos Aires from it! The passage to the top was not built for tall people. Or anyone over five foot, for that matter. It was also nice to spend some time chatting with the Argentines and Uruguayans passing through here (over Asado, of course), especially getting some Argentine opinions on the current state of the country, and the newly elected Mauricio Macri. Not everyone likes Macri, and there are definitely divided feelings – as much within people as between – but enough people seem to have thought change was needed for the country, especially with regards to the economy. Apparently it’s been here so long that plants are growing through it. Or someone planted them inside. Conspiracy. Soon, though, it was time to leave this sleepy seaside town. Argentina and the heavily populated Buenos Aires was calling. 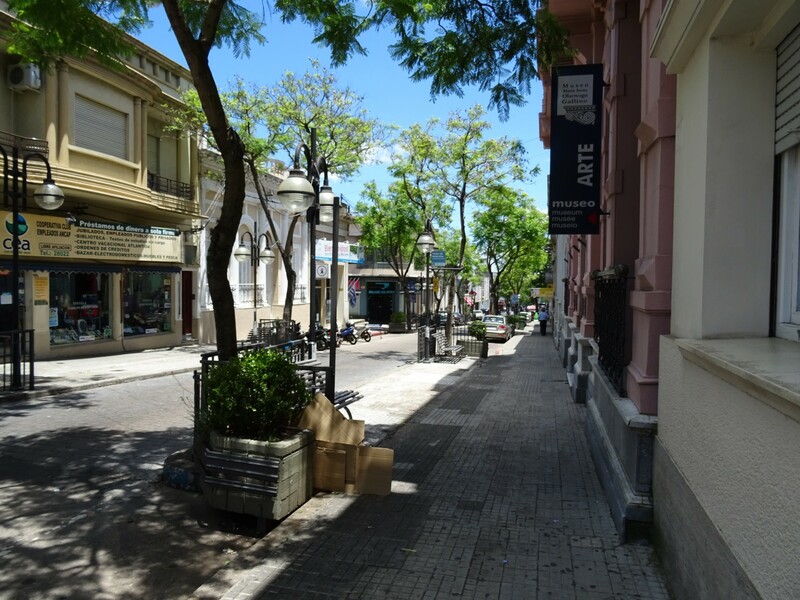 Along with a helpful Moroccan guy who was living in Buenos Aires, I made the short boat trip over the Rio Plata before bussing around the metropolis in an attempt to find my hostel amongst the giant buildings overshadowing the streets. A different world indeed. Boat Travel, Border Crossing, City Exploration, Goodbye, Hot Spring, January 2016. Bookmark. I had to check on the web that you weren’t joking about a town called Fray Bentos but it all makes sense when I found it – I’m guessing you didn’t stop for a celebratory corned beef sandwich? Nope. Can’t say I had any idea what Fray Bentos was until you said that!